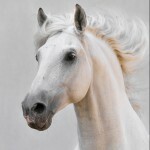 Mud Block Cream – an easy to apply cream which contains cetrimide, a powerful bacteriostat that helps protect the horse from the bacteria in the mud. It should be applied each day for best results. 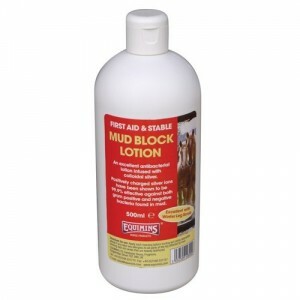 Mud Block Lotion– ideal for horses with heavy feathering as it’s easier to rub in. This lotion contains colloidal silver that’s held in suspension in the liquid, and has powerful properties when it comes to bacteria. Mud Block Supplement – this quality powder contains minerals, herbal extracts, essential oils, dried herbs and ground herbal roots to support the horse from the inside out. The blend of ingredinets chosen supports and nourishes the skin from within, to help prevent issues caused by wet, muddy conditions. Mud Slide Lotion– this traditional lotion contains antibacterial flowers of sulphur with pig oil, which has superb barrier properties. Together, these ingredients help to repel mud away from the skin and also keep the bacteria in the mud at bay. Udder Cream – a useful barrier cream with cetrimide, aloe vera, zinc, castor oil and tea tree oil that also helps to soothe the skin. Udder Ointment – a lanolin based ointment with cetrimide, aloe vera, zinc, castor oil and tea tree oil. Provides a great barrier in muddy conditions. 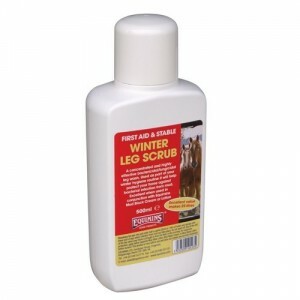 Winter Leg Scrub – a concentrated antibacterial and antifungal leg wash that can be used to wash mud away from the horse’s legs after a day in the field. The safe, effective product doesn’t require rinsing and a little goes a long way with 500ml being enough for 25 applications. To see the full First Aid & Stable range. See the website.